A warm welcome to Patricia Foxen who joined the OICD Executive Committee last week! Patricia brings a range of important experience to the OICD such as work on post-war reconstruction and identity, to mention just one of her diverse interests. Patricia’s profile is below. Patricia Foxen (PhD 2002; MA 1994, McGill University; MPH 1990, Columbia University) is the Associate Director of Research at the National Council of La Raza (NCLR), the largest Hispanic civil rights and advocacy organization in the United States. 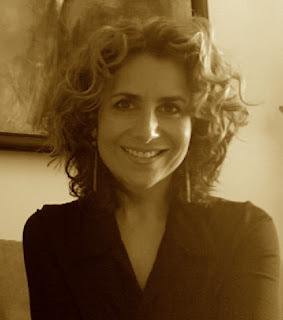 Dr. Foxen is a Cultural and Medical Anthropologist who has been on faculty at Vanderbilt University and the University of Toronto, and has worked as a researcher at the Women’s Health Program, Toronto General Hospital and the Transcultural Psychiatry Department, Montreal Children’s Hospital. Her areas of interest include violence and post-war reconstruction, migration and displacement, health and psychosocial well-being, and cultural identity in the Americas; she has worked extensively with Central American immigrant and refugee populations in the US and Canada. She is the author of “In Search of Providence: Transnational Mayan Identities” (Vanderbilt University Press 2007), an ethnographic account of the transnational passages of K’iche’ Indians straddled between the war-torn Guatemalan highlands and the inner-city of Providence, Rhode Island. Prior to entering the field of anthropology, her work focused on the implementation of maternal and child health and family planning projects in Latin America and Mexico.